Having meaningful goals and actively pursuing them can add a lot to one’s life, but when those goals are not only personally meaningful but also contribute to something larger, beyond the self, the benefits for individual and collective well-being are even more powerful. 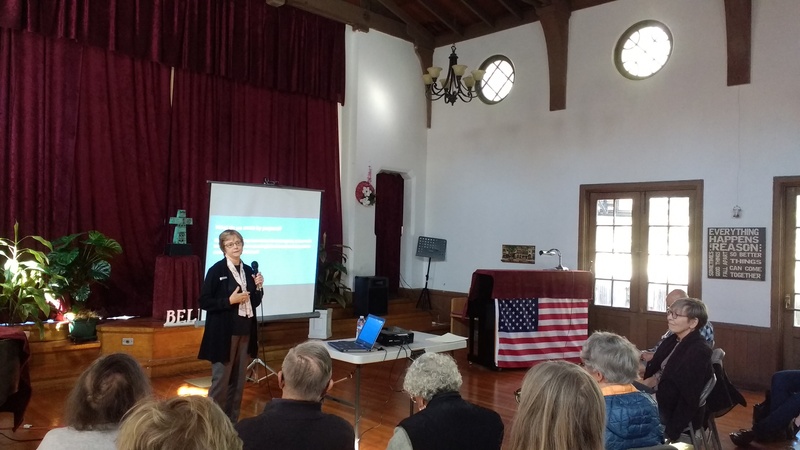 That was the message that Anne Colby, developmental psychologist and Consulting Professor at Stanford University, brought to an Ashby Village audience on February 15. 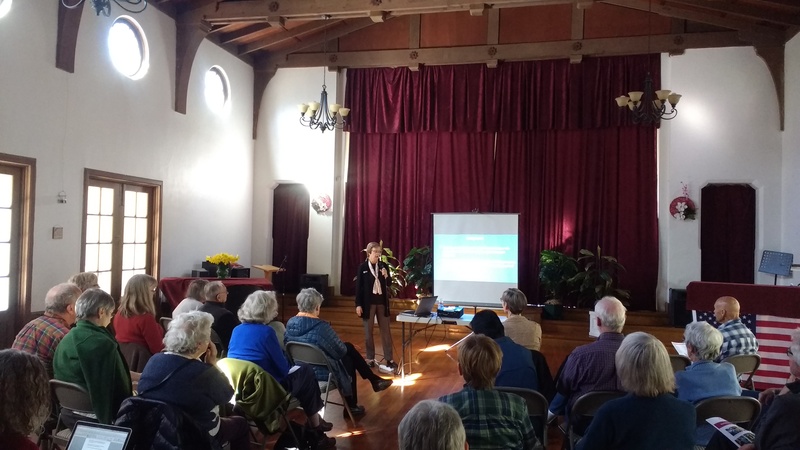 Billed as “Research on Well-Being and Life Purpose among Women and Men over the Age of 50,” Colby’s talk drew from her extensive research, most recently a collaboration between her research team at Stanford University and a San Francisco non-profit, Encore.org. The study involved a national survey of 1200 older adults—ranging in age from 50 to 92, and mixed according to income, education levels, and ethnicity. Following the survey, researchers conducted individual in-depth interviews with 102 of the participants, exploring such questions as: “What is important to you? What do you care about? What do you spend your time on? What did the team discover? “The best way to create a strong and enduring sense of well-being is to contribute to something beyond the self while also pursuing one’s individual, personal goals. That’s what we mean by purpose,” Colby reported. In the national sample survey, the team found that just under one-third of the respondents met the stringent requirements of “purpose beyond the self.” That is, they had goals that were very important to them; those goals were deeply meaningful to them and involved contributing to something beyond the self; and they had been actively pursuing them for an extended period of time (at least a year or two) and expected to continue doing so in the future. Far from losing a sense of purpose as they aged, this rate of purpose in older people is higher than the prevalence of purpose beyond the self reported in studies of younger people. People in the survey who were purposeful scored higher on all indicators of psychological wellbeing—factors such as life satisfaction, wisdom, gratitude, empathy, and personal growth, Colby told the audience. Responding to a question from the audience, Colby said she thinks the village movement is tremendously important in providing peer support for explorations of purpose in life, supporting autonomy, engagement, and social connection, and creating opportunities for members to contribute beyond the self by helping each other. (She’s a member of Avenidas Village in Palo Alto). “When you are in a community where there is more caring for each other and the common good, then everyone is happier,” she said.